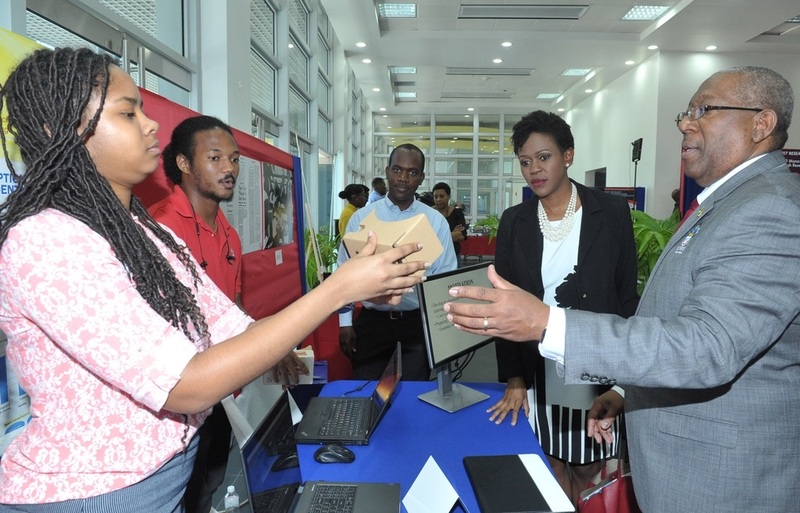 First Global Bank President & CEO Mariame McIntosh Robinson and UWI Mona Campus Pro Vice-Chancellor and Principal, Professor Dale Webber learn how Virtual Reality can enhance the student experience for students at a preview of one of the many displays that will be showcased at the upcoming UWI Mona Research Days Exposition, February 6-8 at the Mona Campus. First Global Bank President and CEO, Mariame McIntosh Robinson is encouraging public and private sector to incorporate research and innovation as part of their growth strategy. According to Robinson, research will ultimately lead to increased competitiveness and success. She was speaking at the launch of the 20th staging of the UWI Mona’s Research Days exposition held in the Exhibition Seminar Room at the Faculty of Medical Sciences Teaching and Research Complex on Tuesday. The 2019 execution of the annual event will highlight the groundbreaking research being done at the Mona Campus, with a focus on how it supports strategic decision making, informs government policy, increases productivity and promotes socioeconomic growth and development at all levels across the island and the wider region. Robinson espoused the value of research as she explained how First Global Bank has used research data as part of its growth strategy. 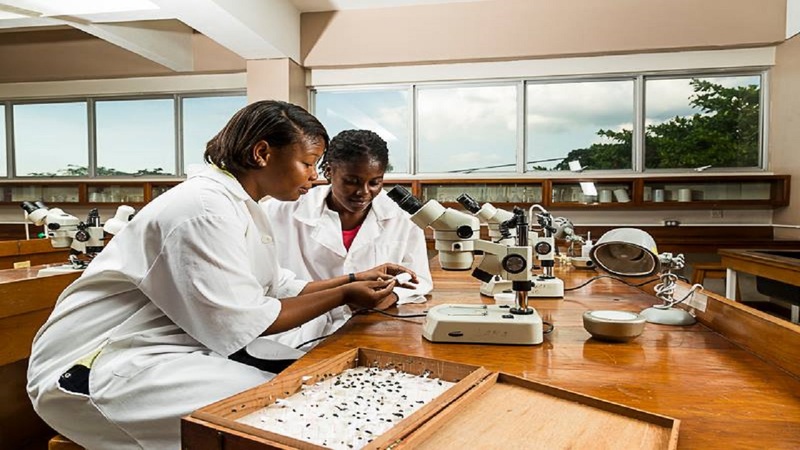 UWI Mona researcher, Latoya Foote, explains how Forensic Entomology can help the police solve crimes. 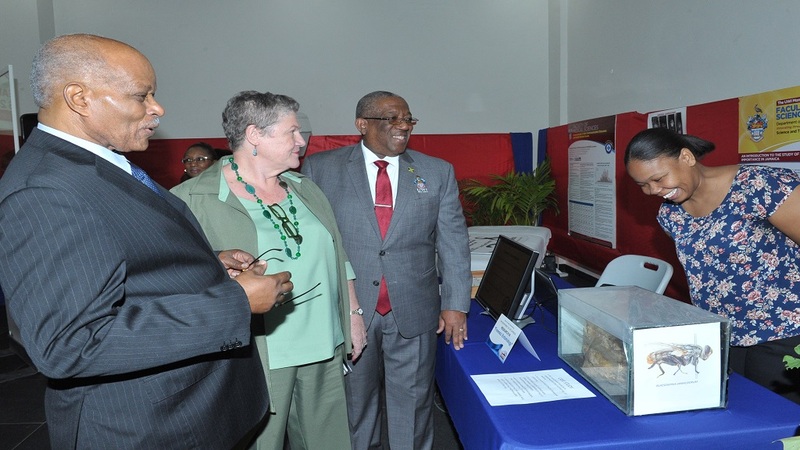 Looking on (L-R) are former Mona Campus Principal, Sir Kenneth Hall, Chairperson for UWI Mona Research Days Steering Committee, Professor Denise Eldemire-Shearer and Pro Vice-Chancellor and Principal of UWI Mona Campus, Professor, Dale Webber who toured the mini-exhibit at the event launch held on Tuesday. 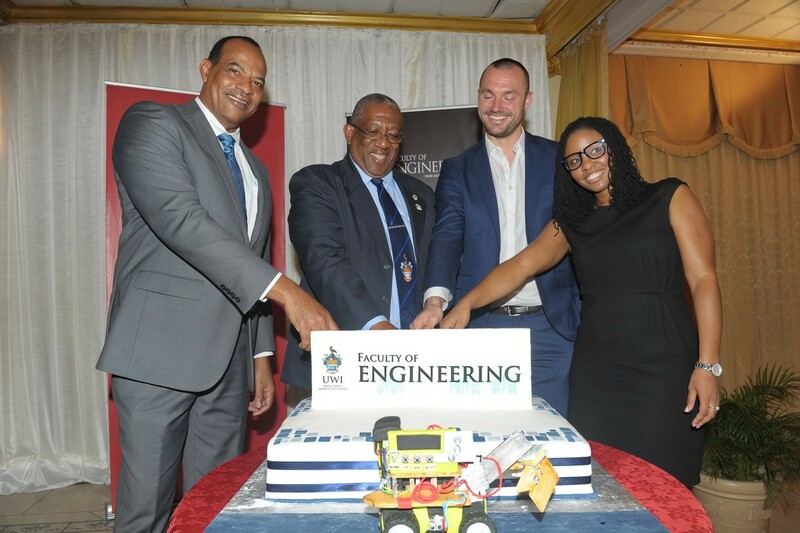 “We encourage other members of the public and private sector to incorporate research as part of their operations and to increase their collaboration with the UWI so that they can increase their growth and competitiveness. Research has always been part of First Global’s growth strategy - so much so, that through our own research, we decided to introduce a Community Banking Model which led to us increasing profits while meeting the needs of our customers”, she said. Also speaking at the launch, Pro Vice-Chancellor and Principal of the Mona Campus, Professor Dale Webber, underscored the value that research can bring to society through improving the lives of others. 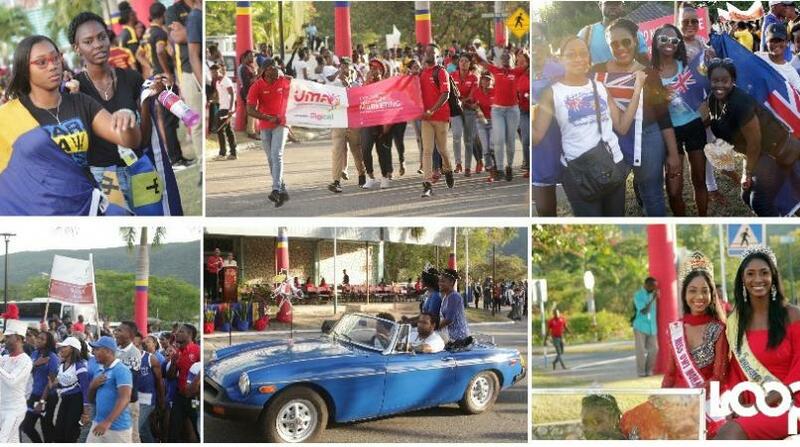 “Research Days has mushroomed from being only one day to now being a three-day event where we celebrate and showcase our collective excellence across the campus. Over the last 20 years, we have been able to demonstrate the value of our research and grow the linkages through Research Days,” Webber said. He added: “Our commitment to national, regional and international development is only surpassed by our cutting edge research solutions that we are happy to share with all who need it”. This 20th Anniversary presentation is a special landmark for Professor Webber, himself an award-winning environmental researcher. His career at the university has allowed him to be an integral part of the growth of the event over its two-decade history, from his own days as an exhibitor, through acting as steering committee co-chair, to his current position as official host of the event in his capacity as Mona Principal.